Hot Rod Night with live rock n’ roll from “Hiway 51”, plus DJ Little Carl spinning the wax, and “Vintage Pinstriping” guest, Jane! Pinstriping is a traditional style of vehicle artwork, of which there are 2 main genres, the long-lining that stems from old style carriage detailing (coach lines or go-faster stripes), and the more decorative design style that goes hand-in-hand with the 50’s and 60’s So-Cal hot-rod and motorcycle scene. It is considered an intrinsic part of the rock’n’roll era. Many who own vehicles of this era, or have vehicles with that look, get some pinstripes done to emphasise the retro-custom look. 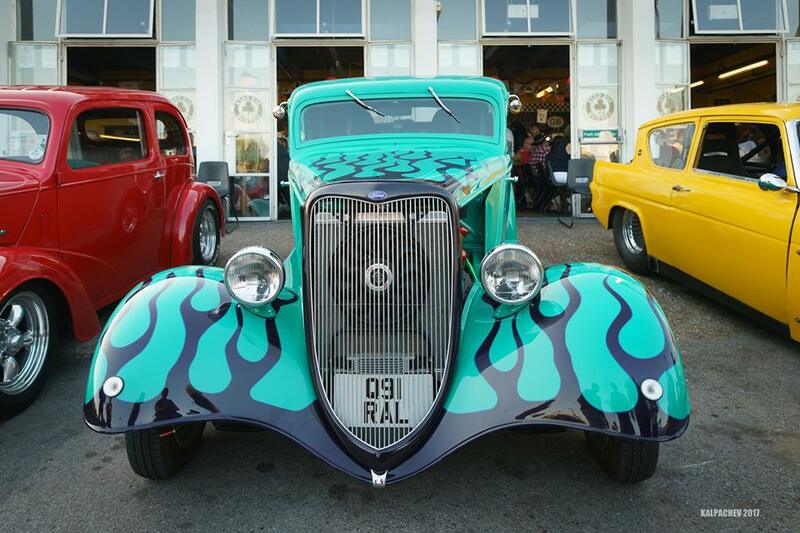 Over the past 15 years Jane and the Vintage Pinstripe stand has become a familiar sight at hot rod, motorcycle, music and vintage lifestyle shows across the UK. As one of a small handful of reputable ‘stripers on the UK circuit, Vintage Pinstripe puts great effort into maintaining and further developing their excellent reputation with services including sign writing, decorative art and engraving as well as ‘striping. The cafe’s regular last Wednesday of each month Hot Rod Night always includes with prizes up for grabs! Prizes include tickets to Santa Pod’s Nostalgia Nationals and The Great British Tattoo Show at Alexandra Palace, together with copies of Vintage Rock and UK Rock n’ Roll magazines. Draw will be held at 10pm.